Doppler ultrasounds - is it right for your clinic? Should pregnancy help medical clinics use Doppler when doing ultrasounds? With the marked improvement in highly developed ultrasound technology and equipment, which is a prescription device, the efficacy of using ultrasound to demonstrate the unborn fetus’ life to abortion vulnerable women has been widely recognized. Indeed 27 states, and an additional 11 have laws pending, now require an ultrasound be performed prior to voluntary termination (abortion) of the pregnancy. As a result, some abortions centers now offer an ultrasound scan, for an additional fee of course. But many crisis pregnancy centers can offer free ultrasounds to their clients in order to demonstrate life, due to the generosity of organizations and individuals. In general, registered nurses are trained to perform a very limited 2D (Dimensional) or B (Brightness) Mode Obstetrical scan to determine fetal viability and gestational age. In addition to the standard 2D or B-Mode, many of these ultrasound machines have Doppler and Pulsed Wave Doppler features available. Should nurses trained to perform limited OB ultrasounds in PCs include Doppler ultrasounds to provide audible evidence of a fetal heartbeat? Some people, organizations, as well as ultrasound system salespeople are promoting Doppler use (in PCs), claiming some abortion-minded women who hear the audible sound may decide against having an abortion and continue the pregnancy to term. So what, if any, difference is there to the unborn baby and mother if Doppler is used in addition to 2D ultrasound? 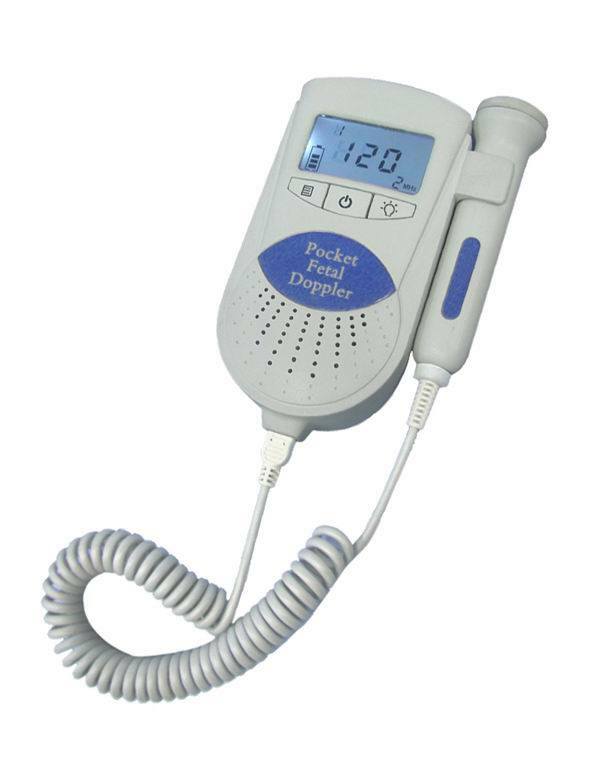 Additionally, what does using Doppler do to our patients both mother and unborn child? Ultrasound uses sound waves (not ionizing radiation as in x-rays) and has replaced x-ray as the primary and preferred method of fetal imaging. All resources state there are “no known biological effects” using ultrasound prenatally – in other words, there are no documented reports of adverse fetal outcomes. The American Institute of Ultrasound in Medicine and the American Congress of Obstetrician and Gynecologists state ultrasound should be done in a “prudent manner.” And another AUIM release states bioeffects may result from inappropriate Doppler use or excessive thermal ore mechanical index setting. Doppler uses high(er)-intensity sound waves to evaluate blood flow/movement. Medical indications for Doppler performed in 3rd pregnancy are for high risk patients, mothers with high blood pressure, diabetes, renal problems, or any other conditions which may affect the fetal growth to diagnose potential complications affecting fetal outcome. The Doppler is focused on the umbilical cord between the uterus and placenta, and not on the forming heart. In fact, specifically mentioned is the unlikelihood of any fetal safety implication as long as the embryo/fetus lies outside the Doppler beam, again referring to Doppler use in 3rd trimester. In the pregnancy help medical clinics, however, Doppler is sometimes used to hear blood flow through the heart, and this is usually done in very early first trimester. However, an AIUM Statement approved April 18, 2011, states the use of Doppler in the first trimester should be viewed with great caution and only when any benefit outweighs any potential risk. Further, it recommended Doppler should not be performed routinely. A basic principal practiced in ultrasound is As Low As Reasonably Achievable, ALARA – using the lowest possible energy while producing a diagnostic image. As the above chart demonstrates, using Doppler increases the power significantly a contradiction to ALARA. Another factor is ALARA is transducer/probe movement. Keeping the transducer/probe in one position without movement will increased tissue temperature (Thermal Index) and cavitation will occur in the structures within the beam’s focus. Thus, the transducer/probe should not be held in a fixed or stationary position any longer than necessary to obtain a diagnostic image. The transducer/probe should be either lifted off the patient and/or the image frozen when there is no need for additional image acquisition. (Cine loop can be accessed for continual observation.) Doppler is acquired by maintaining constant placement of the transducer/probe, in this case on the very small embryonic or fetal heart, further increasing Temporal Intensity. This is especially significant with endo-cavity, or in the PCs transvaginal, scanning where the surrounding tissue is approximately 37°C/98.6°F rather than room temperature as in Transabdominal scanning. While technical and logistical concerns remain in conducting thorough research addressing Doppler use in the first trimester of pregnancy, there is sufficient documentation to refrain from doing so. A British Study determined babies exposed to five or more Doppler ultrasounds had a 30% increased risk in Inter Uterine Growth Retardation. An Irish study, Impact on Cell Division, conducted at Dublin University College, found cell division rate in mice that were exposed to a 15 minute scan of 8 mHz was 22% below normal level. Outside of the pregnancy help network and in clinical practices, Doppler is not done routinely by Registered Diagnostic Medical Sonographers, not even in 1st trimester to determine fetal cardiac activity. If a heartbeat is visualized but not able to be measured, a note will be on the report that cardiac activity was demonstrated. The lack of proper training and experience to acquire a fetal heart beat on M-mode itself does not necessitate the use of Doppler. Instead, continual development as assessment of scanning skills utilizing depth/size, manufacture specific enhancements, etc. will produce a visual and a real-time fetal heartbeat to the abortion-vulnerable woman. It is in the presentation of the medical personnel to the client how seeing the fetal heartbeat will negate the temptation to use Doppler. Then replay this clip on a continuous cine-loop for continual observation of the fetal heart and fetal activity while completing the patient’s appointment. It is also important to note that OB is the most litigious medical field, and there remains a potential medical liability to pregnancy help medical clinics, so standard practices are highly recommended – and Doppler use to hear the fetal heartbeat is not a standard practice in the Medical Imaging field. A registered radiographer and sonongrapher, Kim Hardy is an experienced clinical educator. A former radiology manager, she studied sonography at Thomas Jefferson Medical School while working in hospitals doing both x-rays & ultrasounds, then in private OB/GYN practices, as well as developing and teaching at university sonography programs. After completing a Master’s Degree from Siena Heights University, she worked for a major medical corporation as an Applications Specialist. A personal interest in cancer research led to working with internationally renowned experts as a research imaging specialist and is co-author on several peer-reviewed publications, also having made international presentations. Most recently, Kim has been teaching internationally and working with various mission organizations to take ultrasound into the international mission field. Technology today affords a greatly enhanced and realized view of the unborn child that has not always been visible to the untrained eye, and pregnancy centers now have the ability to offer ultrasounds to their clients. Kim, along with her partner Roxanne Ertel, has developed a course (Take A Peek) and teaches ultrasound to medical professionals in the pregnancy centers. It is believed that seeing this “pregnancy” as actually a baby-a little person- with a beating heart, eyes, fingers and toes will deter these abortion vulnerable clients and their support network to choosing life. Available literature states the fetal heart beat begins its lifelong work at approximately six weeks, and depending on the sonographer’s skills, ultrasound system, and maternal body habitus, the heart beating may be visualized at this time. There are several factors that can be used to not only see this little miracle at work, but also improve general images. Thermal Index is the heating of tissue as ultrasound is absorbed by tissue, measured by ratio of power used to produce a temperature increase of 1°C. This is measured in soft tissue (TIS), bone (TIB), and in the cranium (TIC). Before a specific organ, for example the fetal heart, image can be improved on, first obtain the best image possible. To begin any ultrasound study, but especially in Obstetrical scanning, the correct manufacturer’s Preset must be selected. Presets are essentially a “recipe” set for the ultrasound system. These parameters may include depth, gain, frequency, and focus among other factors. Using the OB Preset sets the Thermal Index (TI) and Mechanical Index (MI) which are generally lower for obstetric ultrasound examinations. In general, the TI and MI are not deliberately manipulated during routine ultrasound examinations. Which Knobs Can Improve Your Picture? Once the Preset is selected, consider the overall gain in the image on the monitor. Is it all black, all white, or a combination with many grays? Adjust the overall gain, often a large dial easily accessible, so it is easiest to identify the landmarks and in general is appealing to one’s eye and interpretation. This may differ somewhat with each sonographer, but not to an extreme. The importance of correctly interpreting the landmarks cannot be over stressed, know the anatomy well. Be sure the size of your image, or depth, allow demonstration of the area of interest. On some machines, this is either a dial knob or toggle switch labeled Depth, Size, or a combination of these. There is a scale on either side of the image that registers this depth in either centimeters or millimeters, and changes as the dial/toggle is adjusted. Most transducers/probes are multi-herz, which means they offer more than one frequency, usually 2, 4, and 6 MHz. Once the landmarks have been identified and the overall gain is satisfactory, try each frequency with a simple adjustment and determine which provides the best penetration and resolution. The lower the frequency, the higher the penetration but lower the resolution. The higher the frequency, the less the penetration but the better the resolution. This means images of a patient with Large Maternal Body Habitus (LMBH) most often improves with the lowest frequency, and our smaller, more athletic patients can use the higher frequency for better resolution images. The frequency is often displayed at the top of the image where the TI and MI are located. The optimal area of the ultrasound beam is the focus, demonstrated by a triangle or karat along the depth scale. Place this at the area of interest at the correct depth. On some systems, the focus makes a significant difference in clarity, but in other systems, there does not appear to be much change. After the above have been set to optimize the image, the slide pods or TGC/STC can be used to fine tune the image even more. These are a step alteration in the gain, with the slides on the top affecting the top of the image and vice versa. Most often the “slope” is a gradual downward slope to the right. Manufacturers frequently have specific image enhancing features under proprietary names which reduce haze, clutter, and artifacts allowing for improved clarity of images. These harmonic features may allow for increased penetration without details lost. Simply turning this feature on and determining its benefit (or not) is required. Once the optimal image has been achieved by using the features discussed above, there are additional tips to see that small fetal heart. Some systems have a Field of View (FOV) which has the effect of “coning down” and creating a smaller field visible and increases image clarification. This is the consequence of taking only a portion of the available area to scan instead of the entire area seen prior to using this option. Often, a pie-shaped icon is on the image top to illustrate and highlight the FOV area. Using the Zoom option will increase the image size, which also can make it easier to visualize the fetal heart. In addition, most of the Zoom also has a feature which allows the size of the area, or box, to be increased/decreased. Another key to using a zoom option is to be certain the item of interest is directly in the center of the box. When viewing the small fetal heart, another gain adjustment making the image brighter aids in recognizing the wave form during Motion-mode (M-mode). This gain is sometimes located by turning the M-mode dial. The brighter the image, the more likely the wave form is visualized. Also, the wave form will be in direct relationship to the location of the heart in the 2 Dimensional (2 D) image. For example, if the heart is in the center, the q, r, s, etc. waves will be in the center of the strip. If the heart is at the bottom of the image, the wave form will be at the bottom of the strip. Oftentimes, maternal respirations interfere with achieving a well demonstrated strip. To overcome this, ask the patient/client to suspend breathing or hold her breath. Be aware, if she takes in a deep breath, the fetal heart may move out of the image, and you will need to make the necessary adjustments. All of these discussed options to improve ultrasound images pertain to both Transabdominal and Transvaginal imaging. However, it is reasonable to anticipate that Transvaginal images will be larger and therefore improve the ability to obtain a fetal heart rate. Using these tips should increase the skill set and confidence for the nurse sonographer and show this little miracle to his or her maximum potential. The tips prior to the “M-mode” can be used for general imaging as well. If you have a heart for integrating medical services or expanding medical services in existing programs your pregnancy help organization offers, we are here to assist you in making that transition. Many organizations today offer, are adding, or at least are contemplating medical services. Other established medical organizations are taking the basic model a step further, by adding STD/STI testing, Abortion Pill Reversal, , natural family planning, prenatal care, birthing centers, and well-woman care. Some are becoming “hub” medical pregnancy help organizations and are encouraging others to refer clients to them for ultrasound and other medical services. The medical community represents natural contacts with our pregnancy help organizations, as we partner to bring a more positive, life-affirming and holistic approach to the care women need. Before adding medical services, your pregnancy help organization must first lay the groundwork. The Medical Director (a D.O. and/or M.D) and other health care professionals are necessary for this transformation. In most cases the organization would operate under the licensure of the Medical Director. In some states, pregnancy help organizations are included within the types of facilities that must obtain licensure. In most states there is a designated agency such as a state department of health that is given the authority and responsibility for regulating health care facilities. You should contact this agency in your state to determine what specific licensure requirements are in place and whether they pertain to the type of facility you intend to operate. In states where licensing is required, a pregnancy help organization must comply with applicable regulations and must submit to periodic agency inspections. The scope and substance of applicable regulations differ from state to state. An ultrasound tech, a trained nurse, or other trained health professional as approved by your state regulations and your Medical Director would perform the ultrasounds. As a medical pregnancy help organization, you can provide on-site immediate services that will empower women to choose life. Primary among these services is ultrasound confirmation of pregnancy. Often when supporters understand the impact of adding medical services they are enthused and increase their giving. Further, adding medical services can be appealing to new donors as they see the effectiveness and positive client outcomes. Some organizations have reported dramatic increases in their revenue over the years as they add medical services and communicate to their supporters the successes in doing so.